What a great way to start the long weekend!!! House sold!!!! We would like to say "Thank you" to you and the other members of the X-Team for your very professional and efficient service in the recent sale of our home. We hoped that it would sell quickly but an offer based on the 1st day viewing was very impressive! We appreciate that you listened very carefully to what we had to say about our property and that reflected very well on your MLS write-up. Sean's photos of the home and property were first class and the front yard "for sale" sign did a great job of stopping traffic. Your staff were wonderful and very quick to respond to our questions as we were going through the process. We have recommended you to many friends and neighbors and wish you all the greatest success! As executor of my parents' estate, I was responsible for selling their home. It was an emotional experience and one that I didn't look forward to. 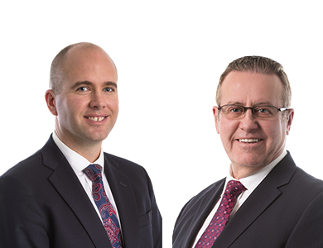 I chose Kirk Walper and his team because he was enthusiastic, energetic, professional and thorough in his explanation of the listing and selling process. He gave me excellent advice on preparation for selling the house and for competitive pricing. He met all of my expectations and exceeded them with his regular communications, feedback on all showings, advice on changes in pricing and countering offers, and ultimately in closing the final sale. I would highly recommend Kirk for his enthusiasm, professionalism, knowledge, regular communications, and his ability to make a sale in a challenging market. Firstly thank you for selling our home for us. I say that because I really feel it was your due diligence, your consistency, your dedication to us as your client, that eventually sold it. We have sold several homes over the years and I would have to say that you are the first one that truly made us feel that you were working FOR us. Under the circumstances that we were trying to sell under - our distance, the long drawn out time frame, our anxiety level about the time frame - your empathy for our situation was greatly appreciated. Your ongoing communication with us made us feel very close to the process and lessened the anxiety considerably. Finally, we really have to give you credit for the final price we received. Had it not been for you and the confidence you had in the process, we very likely would have settled for considerably less. So THANK YOU again! I would highly recommend you to anyone I know who requires realtor services. No question about it, you're our agent's for life. You have gone out of your way to accommodate our needs in Parksville and Lake Cowichan and we will not hesitate to recommend your services.